Here at Britain Express we focus on heritage, history, and 'traditional' Britain. Can't you just hear 'Rule Britannia' starting to play in the background? 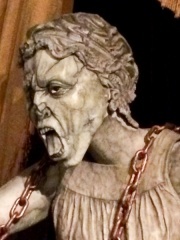 But we also have a 13 year-old-daughter who is absolutely bonkers for Dr Who. 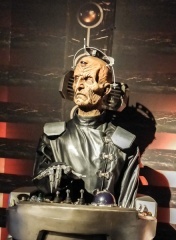 So, on a recent trip to Glamorgan to explore historic castles, gardens, stately homes, and the like, we couldn't pass up the chance to visit the Dr Who Experience in Cardiff. And you know what? Even though none of us are quite so hooked on Dr Who as our resident expert - we had a great time! I was very, very impressed with the 'Experience'. 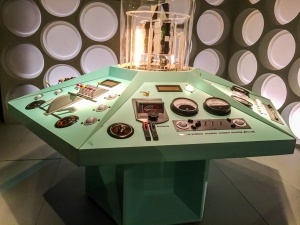 For a start, it really is an 'experience', as you start out your visit with a 20 minute interactive adventure, as you encounter the Doctor (Matt Smith) trapped in the Pandorica, and try to help him out of his predicament. 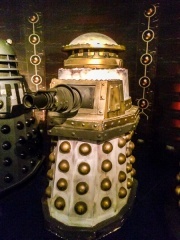 On the way, we dealt with Weeping Angels, 3-D alien creatures trying to capture us, and of course, Daleks. 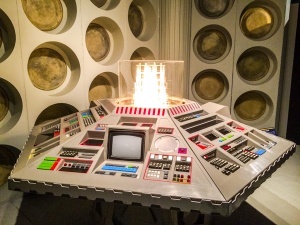 The adventure changes when a Doctor changes, and we were told that since the new 12th Doctor (Peter Capaldi) has taken over from Matt Smith, a brand new adventure will be launched to keep everything current. 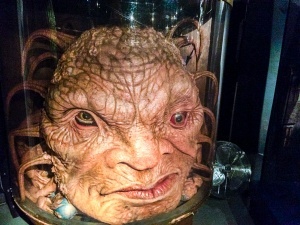 After our interactive 'experience', we were let loose into the main part of the museum, with two floors of exhibits covering Dr Who from the origins of the show up to the present series. 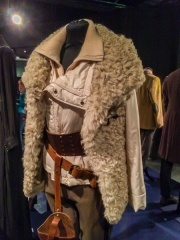 There are dozens of costumes worn by actors from the current series, and historic costumes covering every Doctor since the show began. 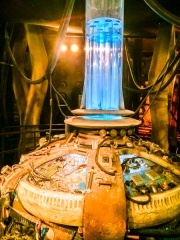 But more than simple costumes, there are examples of the Tardis control centre, different types of sonic screwdrivers, and a wonderful collection of different creatures encountered by the Doctor over the years, from the K-1 giant robot, Weeping Angels (they really are quite scary close up), and of course, Daleks. 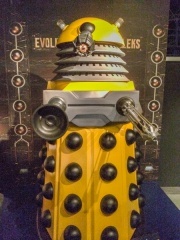 It was really fascinating to see how the shape of the Daleks has changed over time, and how much has stayed true to the original concept. 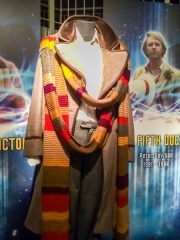 In one corner of the ground floor there is a Photo Booth, where you can dress up in Dr Who clothing, wrap a Tom Baker-length muffler around your neck, and have your photo taken against a choice of backdrops, including an alien landscape, outside the Tardis, and inside the Tardis. 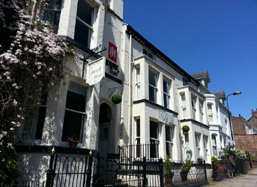 It cost us 10 pounds, but you get both a glossy photo and a digital copy sent to your email address as well. We went for it as it seemed like a good souvenir for our daughter. 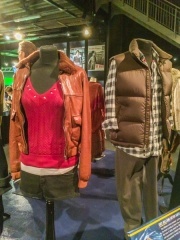 The Dr Who Experience is at Cardiff Quay, past the legislature building. We walked from the town centre, and it was a brisk 20 minutes from the Tourist Information Centree, near the castle. You can also take the train, and get a discounted admission. And speaking of discounts, the Experience and Cardiff Castle have a reciprocal 10% off offer, so you can get money off one by showing your tickets for the other. Every little bit helps! To sum up, we thoroughly enjoyed the Dr Who Experiece. It wasn't cheap, but it created some wonderful family memories, and you couldn't put a price on the smile I saw on my daughter's face! I had to rely on my daughter's expertise to correctly caption all the photos, since she knows all the characters much better than I do!